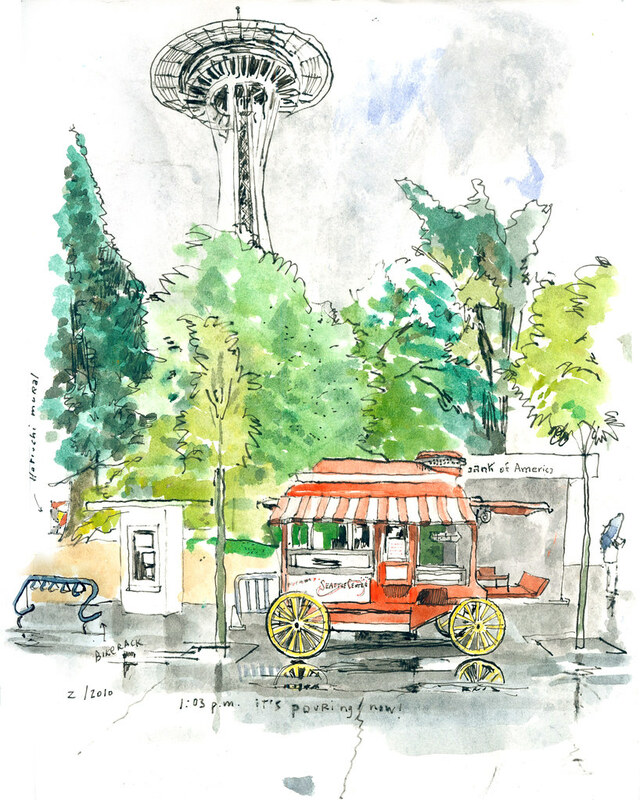 On a rainy morning this week, the empty popcorn cart at Seattle Center struck me as a sad symbol of the beloved community space. The only people I saw here were school groups coming in and out of the Pacific Science Center and a few families walking around with their kids. Why is this fabulous space in the city so often empty, I thought. Kalon Brown of Sammamish said the city should hire Disney as consultants and build a big amusement park. “This place would be flooded if they had entertainment here,” he said as his kids ran next to the Horiuchi mural. As I continued my stroll in the rain, I came to the area north of the monorail where the Fun Forest’s biggest rides used to be. Local artist Todd Lown said he has been putting in long days to brighten up a new playground which will open here on June 15. The redesigned ticket booths will be used to store basketballs, jump ropes, hula hoops and other play equipment that kids will be able to check out. The playground will also include a maze painted on the asphalt, a tent for concerts and picnic tables. It’s no amusement park. 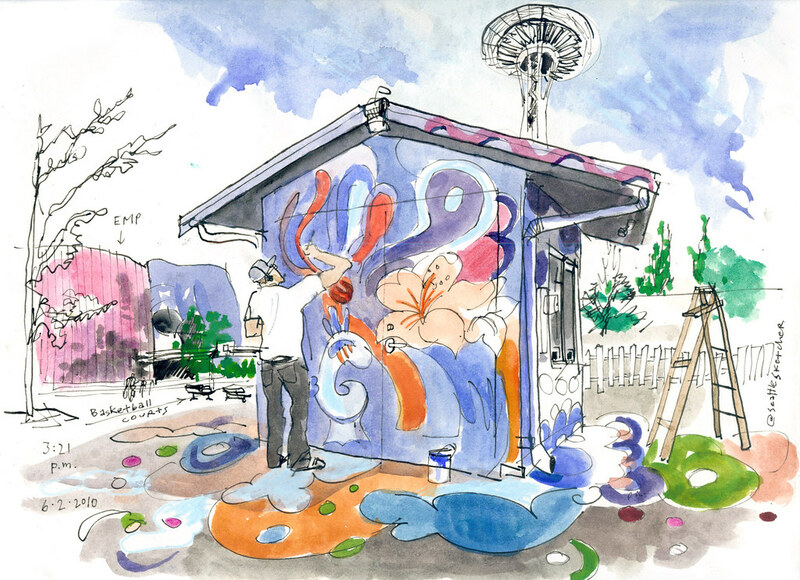 Since it’s only temporary, I continue to hope that Seattle Center will improve as a family-friendly destination. With proposals now submitted for the South Fun Forest, which will be dismantled by the end of the summer, there is a real opportunity to brighten the entire space. By Monday, proposals will be announced at seattlecenter.com.